Due to "severe structural damage"
Though one should never underestimate the utility of bailing wire, as well. Oh well. At least they'll open it in the relatively near future. Looks like Apache is aiming to build some good will. Look forward to enjoying the springs again in the future. 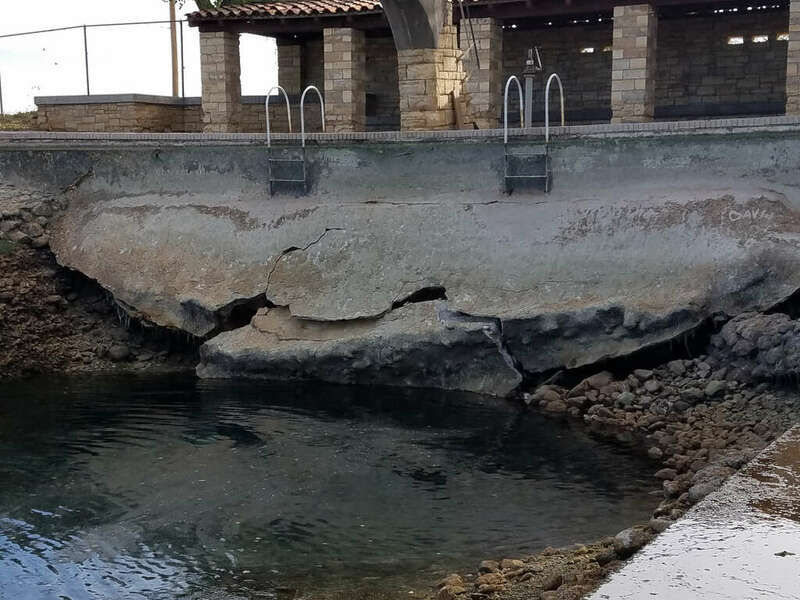 We are happy to announce that the Balmorhea State Park pool will reopen at 8 am on March 1st. Renovation of the San Solomon Courts and campground are still underway, so only the pool and day-use areas will be open to the public during the ongoing renovation period. The park is also undergoing a complete wastewater system replacement, so the bathhouse showers will be unavailable until the wastewater system is in place. During the renovation period, the pool and park will be open each day from 8 am until sunset or 7:30 pm, whichever comes first. The pool restrooms will be open from 8 am to 7 pm each day.